Modern and elegant, this popular blue and white pattern is available in several shapes. 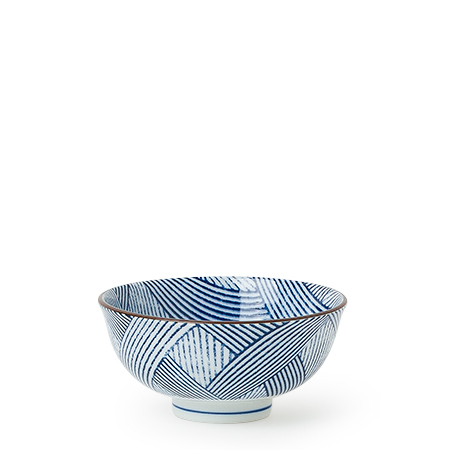 This rice bowl is perfect for rice, snacks, and ice cream! 4.5" diam. x 2" h.